......... A blog about life in South Korea. And life, in general. 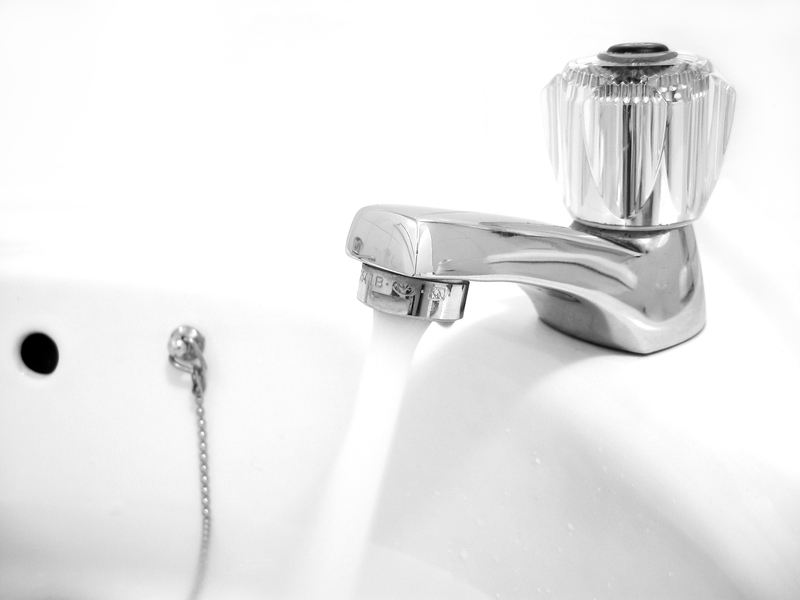 If you live in the Seoul metropolitan area, chances are that your tap water is safe to drink. As quoted by the Office of Waterworks website, "Although an immense amount of money goes into supplying city water, irrational fears prevent many citizens from consuming it." When I first came to Korea, there was mixed information on how safe the tap water was to drink. The good folks at Dave's suggested that because most of the locals didn't drink it, perhaps erring on the side of caution would be the wisest decision. It made sense at the time as there was no way to tell if there were heavy metals in the plumbing or adequate filtration systems at the reservoirs. For some time here I was drinking bottled water, something that I never had to do in Australia. Curiousity eventually got the better of me and I decided to find out more information on the issue. According to the World Health Organisation, in order for water to be safe for human consumption, it needs to pass 145 quality tests. These assess everything from turbidity and chlorine content to contaminants and viral particles. As assessed by UN representatives, Seoul city tap water has been classified as safe to drink by these standards on multiple occasions. The city council has such confidence in its water quality, that it publishes continuous monitoring data from sites around the city in real time, the first public waterworks company in the world to do so. It has also invited scientists from the US based STL and Weck laboratories, which are professional analysis institutes. Professors and governers from across the city requested that quality checks be done across the city, from Hagye to Gupabal. Seoul city tap water has passed all tests repeatedly and the Office of Waterworks here has also acquired ISO/IEC international certification, meaning that it is a qualified research body in water purity. But the citizens of this city are a tough crowd to convince. With an adequate Gust of Popular Feeling yet to occur, it seems that people here will be drinking bottled water for many years to come. So in an effort to encourage the taxpayers to rethink their views on tap water, the council has rebranded it as Arisu, which is the archaic word for 'big river'. There have been a few ongoing efforts to promote it to the public. The good mayor has been on TV a few times, drinking it. The Blue House (Korea's parliament) also serve it during official meetings. I gave a speech about it at South River Toastmasters one night, for which I was lucky enough to win the best speaker award. During the speech I was holding a glass of the stuff and drank it on stage. After the speech, one of the guests said to me "Now I'm convinced that Arisu is good for us! Where can I get it?" So why are people still so reluctant to switch from bottle to tap? There are many factors involved, but the historically recent Korean War knocked out a lot of the city's infrastructure. Since that time, the whole country has modernised rapidly, sometimes a little too rapidly for it to handle. There's also the issue of manufactured demand and misinformation perpetuated by greedy multinationals legitimate businesses. Many people are worried about the quality of the pipes. According to the Office of Waterworks, 98% of the outdated pipes were replaced by 2007, with the remaining being completed this year. However, the old galvanised steel pipes never posed a health hazard anyway, as lead was never used and there were no other metal contaminants that could accumulate in the body. But if you're living in Seoul and you're still not convinced, the council has a special service for you. If you ring '120' or go to their website, you can arrange for a technician to come to your house and conduct a purity test on your own taps. They provide this service free of charge, as a part of their ongoing public awareness campaign. The graph above is WHO data, displaying the percentage of the developing world with access to safe drinking water. You may rightly ask "Why on Earth would I want to switch from bottled/filtered water when I feel so much safer drinking it?" The photo above shows a water carrier from India over a century ago. His job was to ferry water over great distances by filling up his leather skins and running over the arid land to those in need. If he were magically transported to today's Korea, he would probably be amazed by the technological development of the water infrastructure here. Besides other things, like aeroplanes and instant noodles. Tap water contains fluoride, which protects your teeth from cavities. It's one of the greatest engineering feats in modern history. Water purifiers needlessly take this out, thereby increasing your chance of tooth decay. Tap water in Seoul costs 0.5 won per litre. When you compare that with your average bottle of SamDaSoo at 1500 won, you may realise that bottled water is a mere 3000 times more expensive. 1500 won might not seem like much, but what other necessities are you willing to pay such a proportionally enormous amount more for? Trucking bottled water around the cities is a huge burden on the environment. It is often refrigerated in the shops and also comes packaged in large amounts of non-biodegradable plastic. PET bottles can be recycled, but recycling costs energy and it's never 100% efficient. Another thing that you may not realise is that there aren't any strict labelling requirements for water. In Australia, for example, 'Spring' water only means that a certain percentage of the contents are from a natural source. In fact, many bottled water companies don't even use the word and simply filter tap water. You can ring the companies and find out for yourself. Some people complain about the taste of tap water, and I must admit that there is a bit of a chlorinated aroma to it. But if you let a glass sit for 20 seconds, most of this dissipates. Very informative post! I live in Gwangju and I've been warned not to drink the water by locals. They use all types of purifiers but they mainly drink bottled water. I couldn't find any useful info in English on the water standards of Gwangju but if I find something I'll post it here. You are a prolific writer as I suppose most PhD student must be, at least my son, the professor was and is. I enjoy your out put. I have heard safe drinking water is becoming a problem in many places. Here where I live, I have a small separate container where we purify drinking water and water used for cooking. Good stuff you write, Mr Lee. This is a great post that will make me think about the logic of buying water in the future. I don't know if it would convince my wife though. I live in Jinju, and not Seoul. There is a large lake in Jinju, that is actually a damned off river. The locals here swear that it is the cleanest water in Korea but my Korean wife still wants to buy bottled water all of the time. I'd like to make a few points though. Bottled water in Korea is extremely cheap. The 1500 won that you would pay for a bottle of Sam Da Soo is still vastly cheaper than the pints of Dasani that you can buy in America for $2.00 per bottle. I agree totally with you that buying bottled water is kind of silly and expensive and bad for the environment, however in Korea it isn't too expensive. I think that another issue that might be at work is that Koreans might have a harder time trusting their own regulatory agencies. Evidence of this can be seen at the local drug stores and mini pharmacies. A lot of times Korean drugs tout the fact that they have passed American F.D.A. regulatory standards. I don't know that the American F.D.A. or the U.S. department of agriculture has and more rigorous standards than Korean regulatory agencies, but still Korean drug and dairy producers seem to trust foreign firms more than their own. An example of this relating to water comes from my wife's work for a hydroponic farming consulting firm. My wife had to send about 10 liters of water to the Netherlands (from different farms around Southern Korea) for testing because the initial sample testing by the Korean firms had results that were inconclusive. I don't think that there was a difference between the Korean and Dutch science, I think that the profile of the Dutch review was just a bit more comprehensive. All that said, it is still a bit funny that Koreans might not drink tap water, but will still go to a mountain and drink out of an outdoor well from a cup that 50 people before them used. The next time someone offers you a bottle of water, take a stand and say something clever like, “No thank you, I don’t believe in it.” This simple move will open up a conversation about the massive swindle that is bottled water … and possibly persuade one more person to give it up entirely. Please also make a point to see this fantastic new movie, Tapped, which is playing in select theaters in the United States and is available on DVD. Even beyond the issues of your health and the environment, bottled water represents a novel form of privatization, in which private corporations have succeeded, and quite successfully I might add, at making water a commodity. I would say, and I suspect you would agree, that water is more a “right” than it is a commodity. And private corporations should have no more control over the selling of water than they do the selling of our air supplies. Well, this is already occurring to some extent as corporations make a profit selling water -- which at times even makes water less available to the people living in the area. If you’re interested in learning more, an excellent, eye-opening film on this topic that I highly recommend is Thirst. Getting back to bottled water, however,in 2008, U.S. bottled water consumption reached nearly 9 billion gallons, raking in revenues of more than $11 billion. Folks, this is for a “product” you can get virtually for free by turning on your kitchen tap! Are You Paying 1,900 Times More for Unhealthy, Earth-Damaging Water? Yet, that very same bottled water that you’re paying a premium for is, in about 40 percent of cases, simply bottled tap water, which may or may not have received any additional treatment. On top of that, most municipal tap water must actually adhere to more strict purity standards than the bottled water industry. An independent test performed by the Environmental Working Group revealed 38 low-level contaminants in bottled water, with each of the 10 tested brands containing an average of eight chemicals including disinfection byproducts (DBPs), caffeine, Tylenol, nitrate, industrial chemicals, arsenic, and bacteria were all detected. So what you are paying for is often no different, or worse, than the water that comes out of your faucet. When you factor in other elements, like the chemicals that can leach from the plastic bottle and its impact on the environment, bottled water becomes a losing proposition no matter how you look at it. Drinking From Plastic Bottles is Not a Wise Health Move. When drinking bottled water you need to think not only about the water but also about the bottle itself. Plastic is not an inert substance as its manufacturers would like you to believe. It contains chemicals like BPA and phthalates, which mimic hormones in your body. About 1.5 million tons of plastic are used to manufacture water bottles each year around the world, and the processing itself releases toxic compounds like nickel, ethylbenzene, ethylene oxide and benzene. A Simple Solution is at Your Disposal: Once you realize that bottled water is:No safer than tap water Extremely expensive, Often contaminated by plastics chemicals, Contributing to massive environmental harm - the choice to stop using it becomes simple. Fortunately, the alternative to having pure water is also simple: use a reverse osmosis filter. Thank you anonymous. However we need to make the distinction between tap water in the US and here in Korea. Tap water in Seoul is safe to drink, but the same is not true for the entire country. I'm writing a feature on Seoul's water sector and found your excellent blog post. I wondered if you might be available for a chat one day? Please contact me through my website: www.lucycorne.com. Even though the water looks clear, it's hard to drink it in any form and after installing a filter, I can see orange particles ( rust) and black soft particles (manganese) on the filter. I think you should reconsider your opinion. Here's the filter with example pictures. If you are currently drinking your tapwater I would at least use a carbon filter to get the nasties out. Nice post, thanks for the link. I'm not sure how I overlooked this post when you posted it, I'm usually good at keeping up with my favorite blogs. The Seoul government is really doing working hard to convince people to drink the tap water. The bottled water companies here, and at home in the US for me, do a good job of convincing people that their water is better. And, I don't necessarily believe it, but I still tend to reach for the bottled water first before the tap. I always think to myself that I'm going to change some things in my life to help the environment, and this one would be an easy thing to do. I'll try my best to drink more tap water from now on... will I do it? I don't know..
Good info Lee. I recently brought the issue up in class and now I'm going to use your blog to show my students what I've been telling them. f-in fantastic post. sharing on facebook and convincing roommates to get rid of water machine. your blog is really an eye opener, i am really impressed by your interset in the topic, now there is one problem, i am convinced that tap water in seoul is safe to drink, and all seoullites must switch to ...tap water to save the long term effects our environment can bear for buying and dumping all those bottles..but i live in Jukjeon, which in bundang area, it is outside the 'Seoul Metropolitan Area'...now I am not sure what the norms of tap water in Yongin Si or bundang area are..any help ? Hi Shweta, try contacting your local council for information, or the website: water.gov.kr . I would be surprised if it were not safe to drink, but the contents of this article are purely related to the Seoul metropolitan area. interesting post. thanks for this.